STATUS: Velocity award redemptions on Virgin Australia now attracts 'Carrier Charges' on top of taxes. Upgrades are almost always a handy use of points if travelling in Premium Economy or Business Class is on your wish list. Going after upgrades from paid fares, rather than outright redemptions using your points might make sense as a strategy if you fly for work (on paid fares by your employer) or don’t have enough points for a full reward seat redemption. 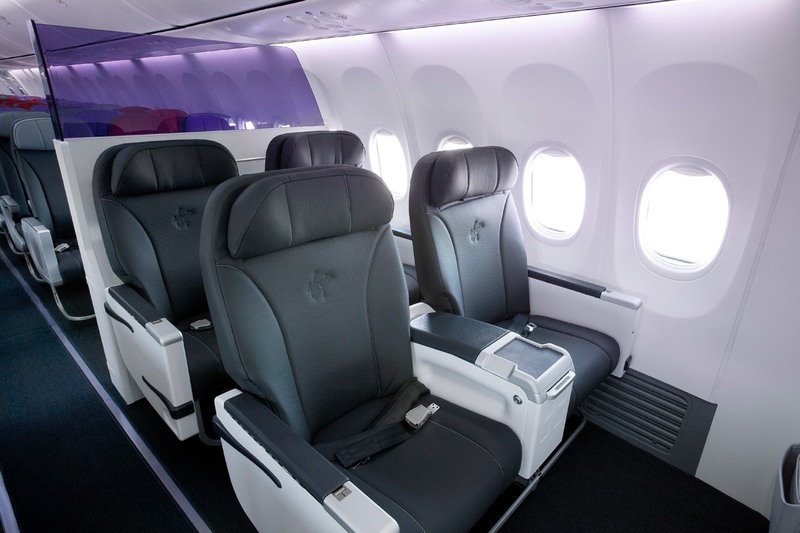 This guide runs through the ins and outs of getting into Virgin Australia Premium Economy or Business Class using your Velocity points. Like any purchase decision, you’ll need to personally value the experience you are ‘buying’ using your Velocity points to decide if the upgrade is worth while. Personally, I do value travelling in Domestic Business Class, especially for fights over a couple of hours. I have long legs! But I understand those who wouldn’t. If you are points-rich – i.e. earn points faster from travel or your credit cards than you can redeem them – then redeeming for upgrades is a great to way to get continuing value out your points. Here’s a quick table with some example Velocity points upgrade costs to give you an idea of what you’re looking at when it comes to redemptions. 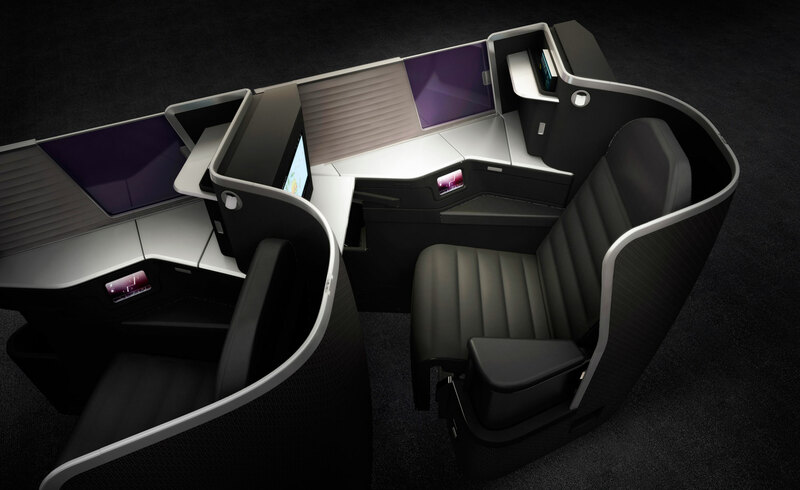 You can upgrade to domestic Business Class on Virgin Australia with either a Saver fare or Flexi fare. Given Saver fares are cheaper than Flexi, you’ll need to pay more points to upgrade from Saver. 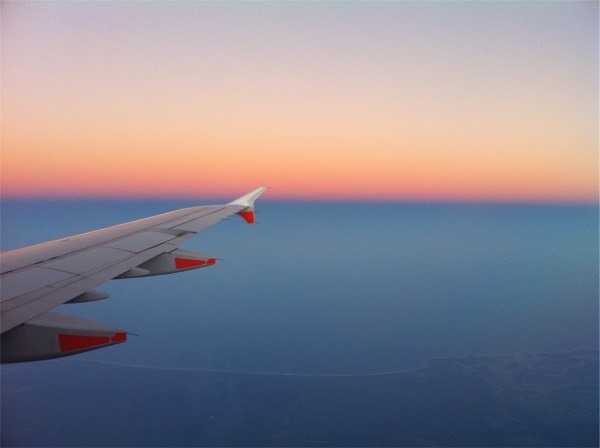 In my view, upgrades from Saver fares are not going to be worth it when you have a choice to book your trip using points outright, as the costs are not too far off those incurred from just booking the flight using points in the first place. For example, the Saver upgrade from Sydney to Brisbane would be 10,000 points (plus the cash cost of your Saver ticket), while an outright Business redemption would be 13,800 points. If, however, your Saver fares have to be paid for by someone else then using points to upgrade could be worth it. Otherwise, if you need a Flexi fare for any reason, then upgrading using Velocity points becomes cheaper. However, by upgrading a Flexi fare you lose some flexibility, as if you need to change your ticket your upgrade will also need changing – see the section on changes and limitations below. Short-haul international upgrades work in a similar way to Domestic upgrades – this is for travel to Fiji, Samoa, Bali or New Zealand. However for short-haul international flights you can only upgrade from Flexi fares, with no saver option available. If you have to book a Flexi then the rates are reasonable – if there’s big difference between Saver and Flexi, as there usually is, and you don’t need a Flexi fare then you’ll have to decide if the cost is worth the ability to make an upgrade request. Long-haul international upgrades on Virgin Australia using your Velocity points are going to be much tougher to come by for most people (this is for flights to Abu Dhabi and Los Angeles). Firstly, Gold and Platinum Velocity members only are eligible to request upgrades in the first place. Then, even for those members, you’ll again need to be booked into a Flexi Economy fare or above – the cheapest international Economy fares (Saver and Saver Lite) aren’t available for an upgrade. 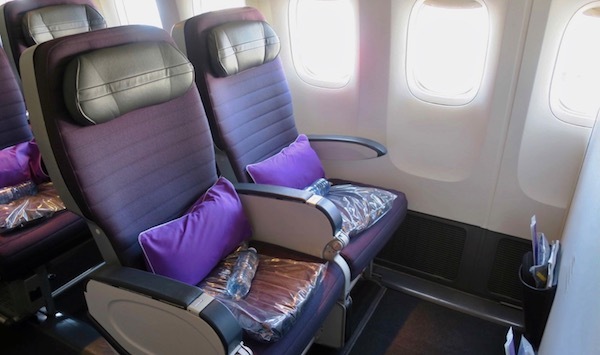 Once again, you’ll have to decide if the difference between a Sale or Flexi Economy fare is worth it for you, but if it is, an upgrade to Premium Economy is a handy 18,000 Velocity Points on the Sydney / Brisbane to Los Angeles route. To request a Domestic upgrade, log in to Manage My Booking on the Virgin Australia website and initiate the request there. 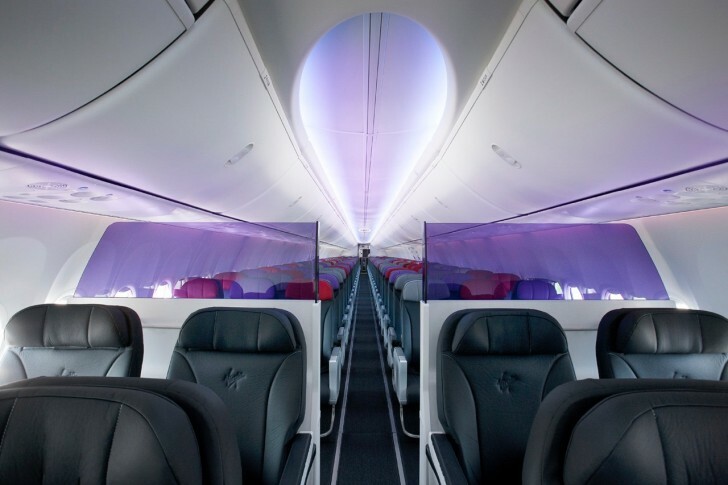 For a long-haul international upgrade, you’ll need to call Virgin Australia to make the request. In addition, Gold and Platinum members can only upgrade other members travelling with them, or themselves. All upgrades are confirmed immediately if there is space available, including for international flights which is a win versus Qantas Frequent Flyer. For long-haul international flights, I understand that if there is full reward seat availability for the cabin you are upgrading into, then your upgrade should go through without issue. When requesting your upgrade at the lounge, they may also have access to more upgrade availability closer to departure to try your luck there if you haven’t been able to upgrade online or over the phone in advance. What else do you receive with your Velocity upgrade? Beyond the flight, there are a few other benefits (or reasons) you might want to go for an upgrade using your points. The Velocity upgrade cancellation / change policies are outlined here, but in short if you want to cancel or change an upgraded flight you’ll need to pay 4,500 points or $35. This fee is waived for Velocity Platinum members. On top of that, if you want to change within 24 hours of your flight, your upgrade becomes completely non-refundable. Unfortunately multi-city tickets will need upgrading for each sector, with an accompanying per sector cost. This is less fun and way more expensive to upgrade for those travelling on multi-city itineraries. For Domestic upgrades, you’ll also need to upgrade no later than two hours before departure, which you can do online or up to 45 minutes before departure at a Virgin Australia domestic lounge. While you can upgrade online for fares booked online, you’ll need to call Virgin Australia to process an upgrade for anyone with special requests or if your booking was made through any other channel (e.g. mobile device or over the phone). 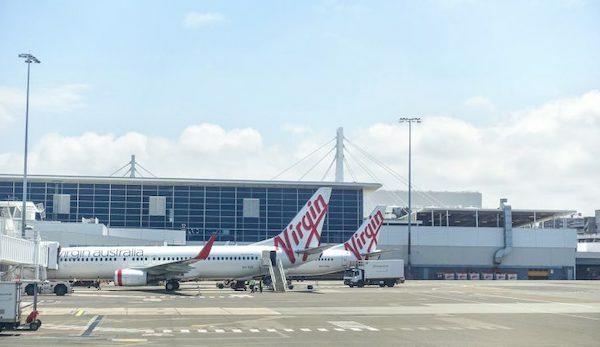 Your ticket must also be issued by Virgin Australia, not another carrier or partner – so technically featuring a ticket number beginning with “795”. Finally, you can also upgrade yourself on Virgin Australia using ‘UpgradeMe Cash’ – a bidding system for upgrades without using points. Is it possible to upgrade an Economy Reward seat to Business? What is the best way of retrieving Business seats for a long haul MEL-LAX flight return? This guide and this guide may help you out. If I want to fly SYD-LAX-YUL on a VA Flexi Economy fare and upgrade the SYD-LAX sector to Business (as a Velocity Gold member) as it’s the only sector on VA metal, would I be entitled to Business class baggage allowance for the whole itinerary? You’d need to check that baggage query with Velocity directly – no experience with this unfortunately. Looking at the Virgin website today I see that upgrades to business class using points are only available on long haul to Hong Kong or LAX. What has happened to Abu Dhabi – has Virgin made a mistake? Being able to upgrade for the longest sector to Europe is one of the biggest benefits to the Virgin program for me. Does anyone know anything about this? Virgin have now pulled out of the Abu Dhabi route completely – AusBT has the details here. “Premium entry in Sydney and Melbourne”? To what exactly, Keith? To the lounge? Which lounge? To the aircraft? Whichever it is, it also applies to Brisbane, according to poster Michael Kao, and has done so for fifteen months. My husband is Gold – I am Silver; Can we both be upgraded using the UpgradeMe points scheme?? (as only Platinum and Gold can do this) – however I would be on the same itinerary as a companion. Trying to work out if I should of been family pooling my status points to him, instead of trying to make it to Gold. Great question – not sure how it works with multiple people in the same itinerary. Best to give Velocity a call and find out I’d say. I was on the Virgin Aus website looking to book a flight from Brisbane-Abu Dhabi, it showed flight no: VA 7124 however also noted Operator: Etihad Airways. So if I am booking through Virgin Australia, they are providing a VA flight number but its operated by their partner is an upgrade still doable ? Hey Emily – no, unfortunately no Velocity upgrades available unless the flight is operated by Virgin Australia and you have a VA coded ticket. Would I book it via the Virgin website to get a Virgin coded flight then call up Virign to do the upgrade? Hey David – upgrades on Etihad are only doable with Etihad Guest miles, unfortunately. Velocity points can only be used for upgrades on Virgin Australia. Does that refer to the “Classic” reward seat availability or the “AnySeat” – full points value availability? I am a Gold member and there is absolutely no premium award availability in the former category even with my status for the middle of next year (in the past it has been easy). There is little point in me buying a Flexi economy ticket if I cannot upgrade. That’s referring to the standard reward availability, not Any Seat. And yes, availability is currently dire, although I live in hope it will be adjusted back upward at some point. More on this here. Premium entry is available in BNE as of today. Richard Brandson opened it himself. Definitely waived for Platinums cancelling >24 hours from travel – full cancellation terms here. Am I reading this incorrectly or is there an error in the table “upgrade costs summary” which shows saver rewards cheaper than flexi? You read it right, typo. Fixed, thanks! This is incorrect, you must upgrade no later than two hours before via the Velocity call centre however it’s 45min via the Lounge. Thanks, noted on the post now!